Inadequacies in teaching children to worship often take one of two forms. Sometimes children are presented with a vision of God without being given the opportunity to respond to the revelation. On the other hand, children are often asked to respond to the call of God without having seen God for who He really is. The righteous character of God and the atoning sacrifice of His Son on Calvary demand a total response of one’s body, soul, and spirit. Revelation and response must go hand in hand if biblical worship is to be practiced. This implies that times of corporate worship for children must be carefully planned and structured and should provide a model for children’s personal worship. These times must be planned to help children see who God is, give them the opportunity to respond in humble confession, and let them respond without reservation to the call of God in their lives. This second aspect warrants further consideration. What are the most natural ways for children to respond? Psalm 103:1 provides a key: “All that is within me, bless his holy name!” We must allow children to respond with multiple, varied, and creative expressions of confession, celebration, and obedience—i.e., with all that is within them. As spring recently made its first reappearance, I saw a child on the sidewalk, jumping up and down with outstretched arms in sheer, unrestrained delight at the long-awaited sunshine and warmth. He was oblivious to the opinions of any onlookers. I have watched a little girl sit for hours with her nose pressed against a glass tank in mute fascination and enjoyment of the lives of a half dozen fish. How natural it is for a child to slip his small hand into a larger one and skip down the hall or simply snuggle closer, enjoying adult attention and friendship. Or in his intense excitement at a circus, how many parents have had to hold a child back from running forward to join the act! It is obvious that children easily express themselves in a multitude of ways. These expressions are part of “all that is within” them and must be channeled to respond to God’s character. However, before they can celebrate God’s nature or respond to His call, children must experience conviction of sin (falling short of God’s perfect standard) and a sense of their personal unworthiness to approach God. Only then can God’s forgiveness and cleansing be realized, and only then are children ready to respond with celebration, adoration, and obedience. As I have taught children a biblical philosophy of worship, I have often asked a class to help me design a worship time, responding to a certain aspect of God’s character that we have studied. Sometimes they choose to respond with singing—either with familiar songs or with those they make up themselves. Various musical instruments, such as the triangle, tambourine, bells, cymbals, wooden blocks, etc., add to the joy of offering praise. On one particular occasion, I gave some of the children a poster to complete with the words of our memory verse about worship. I will never forget seeing one quiet little girl turn her poster over and carefully letter the words: “I luv u, Jesus—Kristi.” Kristi had not responded in the way I expected her to—the same way I expected all the children to respond. Rather, she had responded to our study of the love of Jesus in a spontaneous, natural expression, from her heart giving love back to Jesus. Scripture suggests several physical ways of responding to God. “Clap your hands, all peoples! Shout to God with loud songs of joy” (Ps. 47:1). “Oh come, let us worship and bow down; let us kneel before the LORD, our Maker” (Ps. 95:6). “So I will bless you as long as I live; in your name I will lift up my hands” (Ps. 63:4). In these ways children let “all that is within” them bless His holy name. Besides learning to worship on occasions specifically designed for that purpose, children should be taught and shown that every moment of the Christian’s life is to be lived in response to who God is and what He has done. Parents and teachers of children should look for moments in the context of everyday life to model this concept. Riding in the car with children provides a natural opportunity to thank God for the wonders of His creation. Mealtimes can begin with giving thanks for God’s consistent provision. Then, a few weeks ago, a little girl called me and said, “Miss Nancy, I got saved last night, and I want to tell you all about it!” Dana’s six-year-old excitement knew no bounds. That was a time, in the middle of the day, to worship God; to say with the small child who spontaneously hugs his father, “We love you, Daddy!” Dana and I are often together, and we enjoy singing, “I’m excited; I’m excited; I’m excited in the Lord! When you’re walking with the Lord, you don’t get bored. Sing Hallelujah. Amen!” That is everyday worship. Rather than silencing the children from shouting, “Hosanna to the Son of David,” let us learn from them how to offer worship that is acceptable to God and worthy of His holiness. Let us all together join the seraphim in proclaiming, “Holy, holy, holy is the LORD of hosts: the whole earth is full of his glory!” (Isa. 6:3). 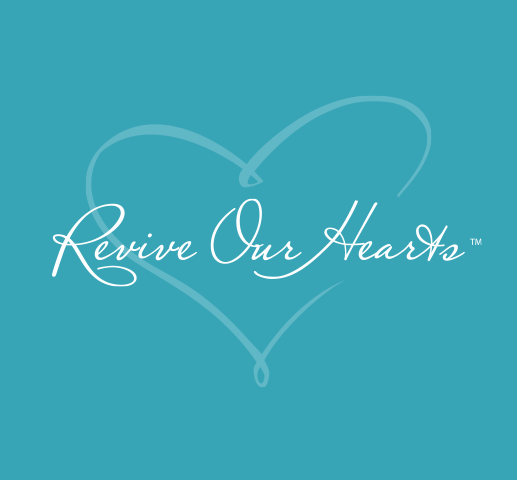 ©Revive Our Hearts. By Nancy DeMoss Wolgemuth. Used with permission.